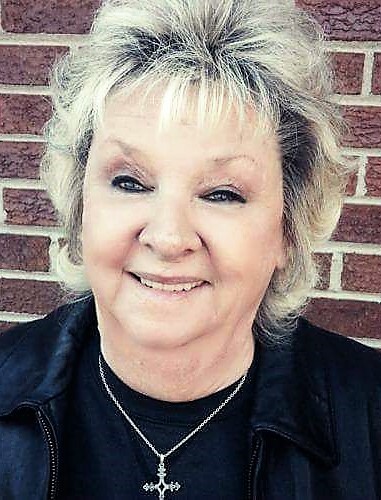 Linda Marie DeVries, 71, left her earthly home on Monday, July 2, after an extended illness. She was a native of New York, born June 27, 1947, to the late Horace "Dutch" and Geraldine Williams DeVries. Linda was a member of Faith United Community Church, loved collecting Hummels and Norman Rockwell prints, searching through flea markets, bowling, and occasional fishing. She liked playing computer games, looking at Facebook, and eating Life-savers. Her favorite thing was to rearrange furniture and not only that but complete rooms, so that on returning home her children may find their belongings in a new area of the house and have to enter the home through a different door. It was often said if she could have moved the kitchen and bathroom she would, but couldn’t due to the plumbing, thus they were the the constant rooms in the house. A caring and loving mother she left the gift of her legacy to her children Timothy Charles Perkins, wife Kim, Marvin Wayne Perkins, wife Susan, Kevin Leland Perkins, and Corena Marie Sayre, husband Ellery, grandchildren Mermystia Perkins, Blaine Perkins, wife Delaney, Kelly Perkins, husband Sam Stokley, Jansen Sulla and Ashlin Sulla, and great granddaughter Adalyn Stokley She is also survived by the father of her children Charles Leland Perkins, wife Pat, step mother Dorothy DeVries, sister Terry Daly, brothers Paul DeVries, wife Karen and John DeVries, wife Mona, and 2 nieces and 3 nephews. The family will greet friends starting at 4:00 PM Thursday at Hager & Cundiff Funeral Home with a Remembrance Service beginning at 7:00 PM with Rev. Mark Horton officiating. Cremation will follow after the Service. Linda will be honored every day in the way her family lives and who they are, as she has left with them her legacy. Donations may be made in her memory to the Faith United Community Church, 3080 E. Brannon Rd., Nicholasville, KY 40356. Hager & Cundiff Funeral Home is honored to serve Linda’s family.